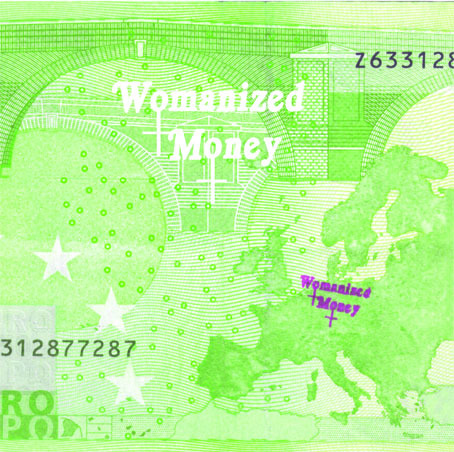 "Womanized Money" is a "tiny" art action with an enormous outcome! Important!!! Each eurobill has on one side a picture of a bridge, which is a feminine symbol. 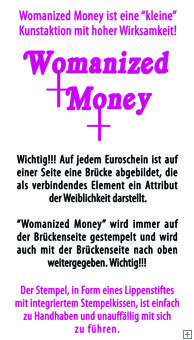 "Womanized Money" is always passed on stamped on the bridge! The Stamp, integrated in a lipstick, is easy to handle and is not attracting any attention!